SAA was invited by Tug of War International Federation (TWIF) to attend the congress in Nov 2012. Upon the invitation, SAA has agreed to attend the congress. This is the first time that SAA (or Singapore) is attending the congress. 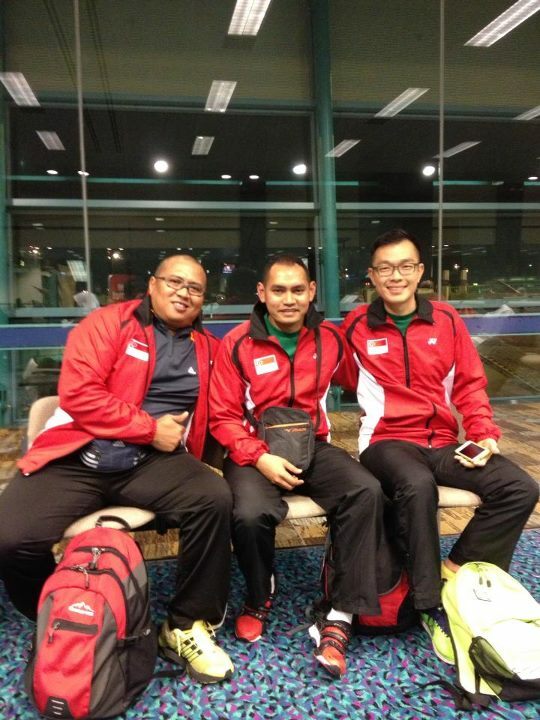 On 23 April, Chairman Tug of War Committee, Mr Terry Tan together with 2 of his committee members, Mr Muhammad Irsham and Mr Adrin B Sani departed for Wisconsin. The congress was carried out on 26 & 27 April at the Sheraton Hotel in Wisconsin. A total of 30 over international representatives from 16 countries attended the 2 day congress. On the first day of the congress, Mr Terry Tan was invited by TWIF President, Mr Cathal Mckeever to give a presentation on the developments in Singapore and updates on the SEA Games. Singapore was the only country from ASIA to be given the opportunity to do a presentation. The rest were mainly from the European countries. The presentation had given the participants an insight on how SAA worked closely with Myanmar to include tug of war in the 27th SEA Games. After the first day of congress, the trio were invited by President to have a private meeting to discuss several important issues. At the end of the congress, TWIF President had written a note to commend SAA’s effort in tug of war development especially in the SEA Games. In conclusion, SAA had received good feedback for what we had done so far. The congress had also allowed us to network with other international representatives for the development of tug of war. SAA looks forward to the TWIF congress next year @ Ireland.